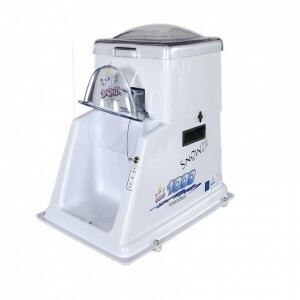 The Snowie 1000 Ice Shaver is the fastest, lowest priced commercial ice shaver on the market. This Shaver is a sensible solution for those who wish to enter commercial venues on a limited budget. 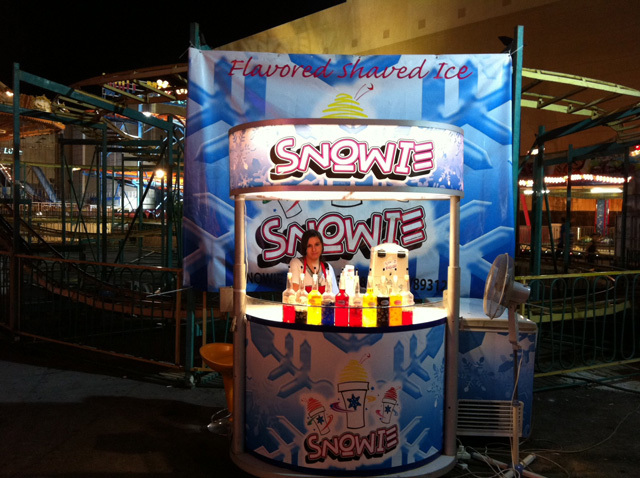 The Snowie 1000 is simple, fun, and easy to use. 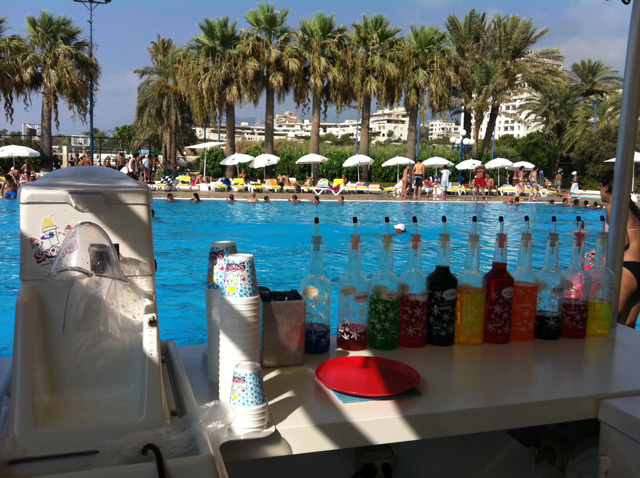 Just pour in standard ice cubes, step on the foot pedal and hold on to the cup. 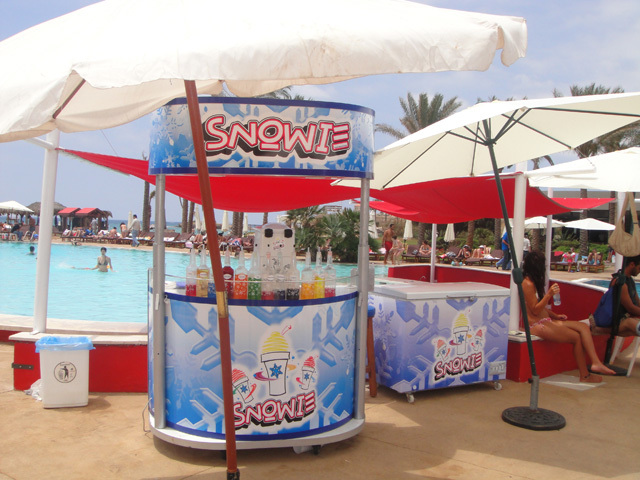 At up to 12 fluffy shaved ice servings per minute, the Snowie 1000 is designed to keep your lines short and your cash register ringing! This is the perfect ice shaver for those new to the shaved ice business or where space it limited. 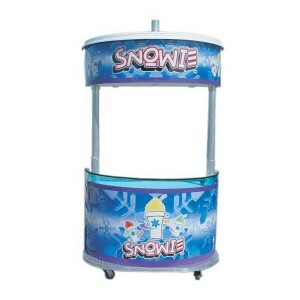 The Snowie 1000 is great for vending carts, small concession stands, or busy fast food operations. 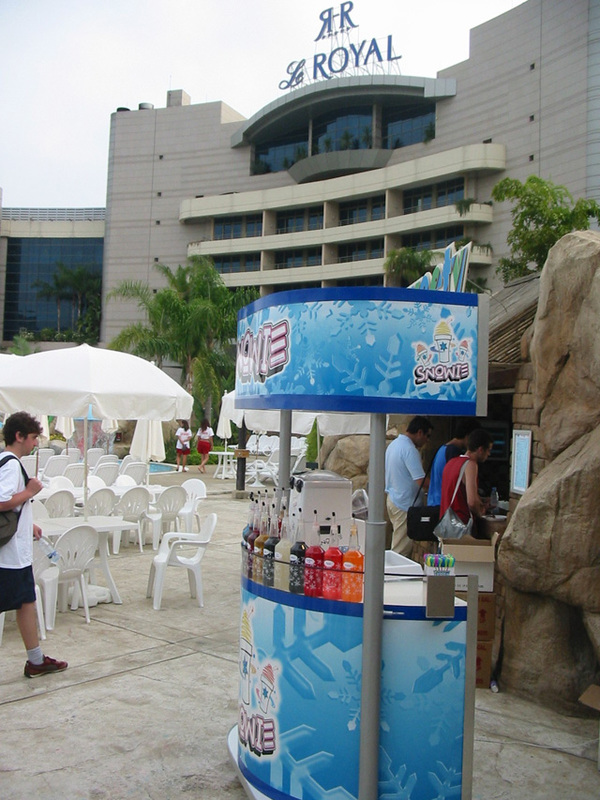 The light-weight, 5 foot mobile cart is perfect for special events and concessions, allowing you to move to where your customers are. The amazing full-color graphics will make you the center of attention. Nothing makes reaching your customers easier or more cost-effective than the 5 foot cart.